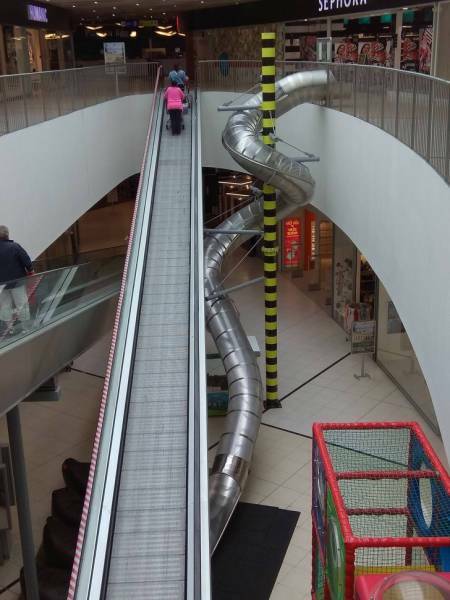 You can take a slide instead of the escalators at this mall in Prague. 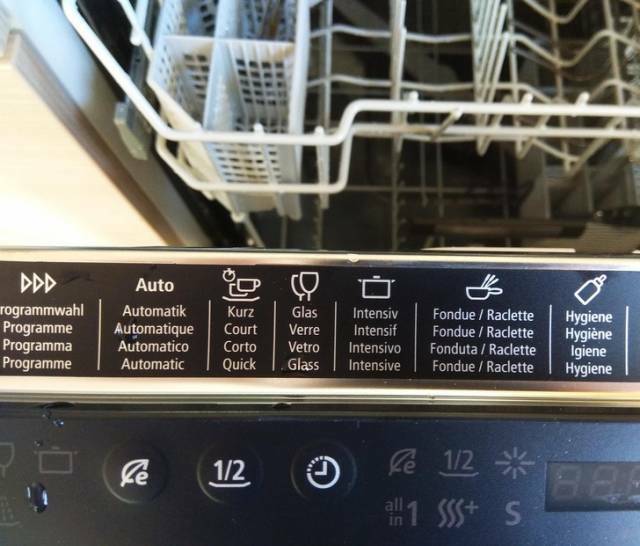 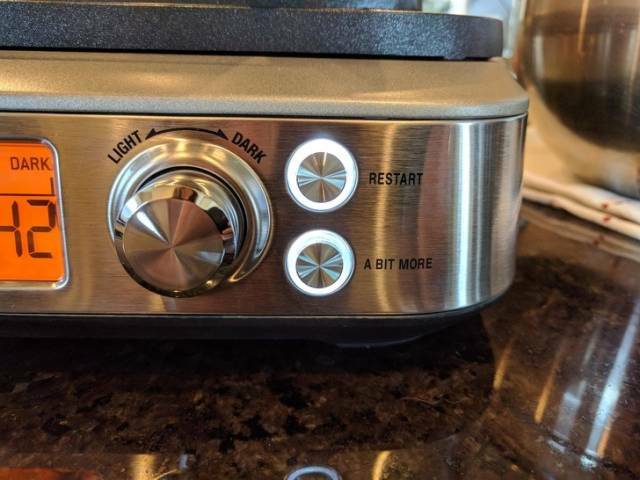 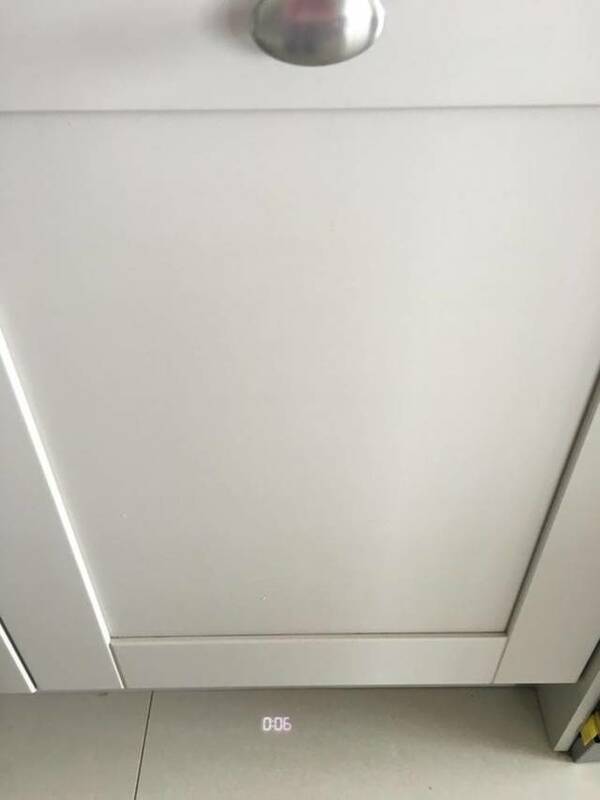 This dishwasher projects the time left onto the floor. 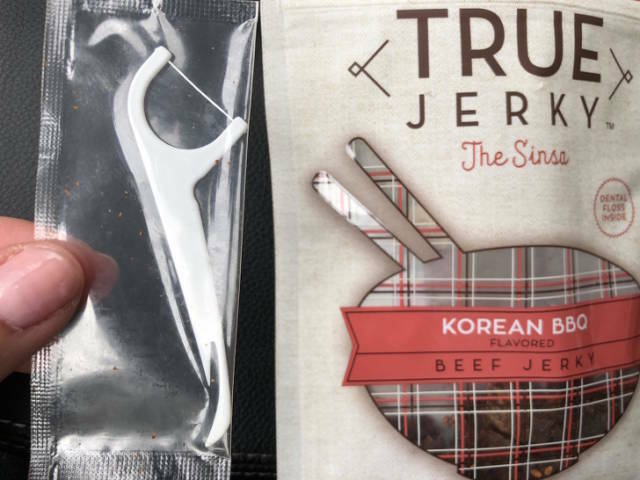 This jerky came with dental floss. 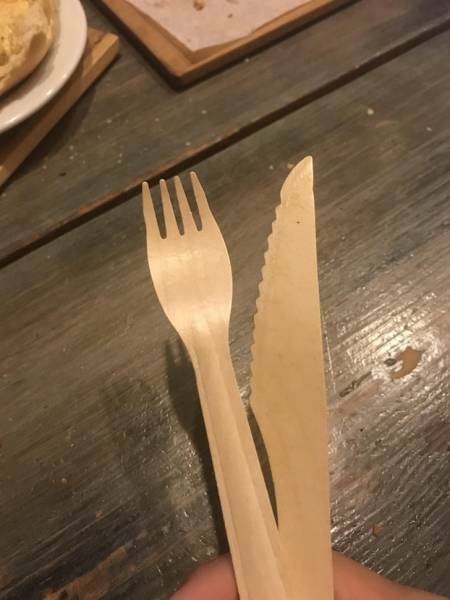 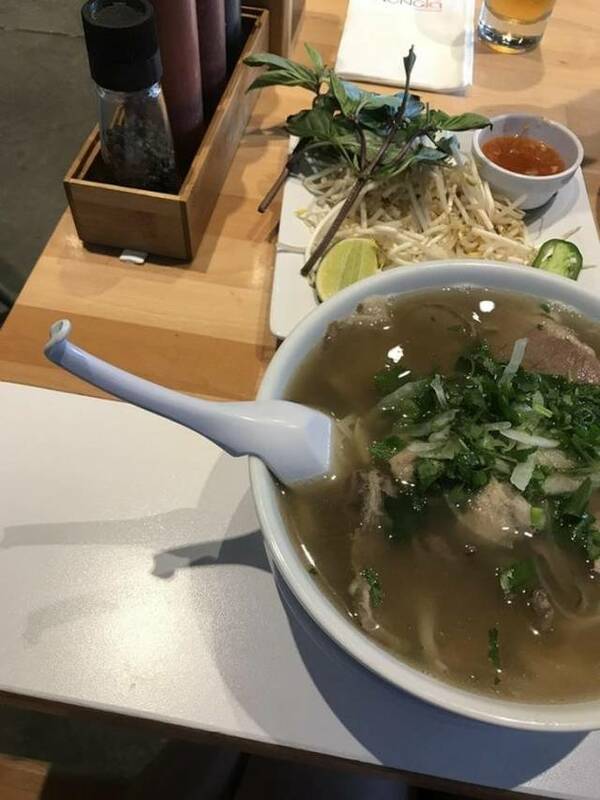 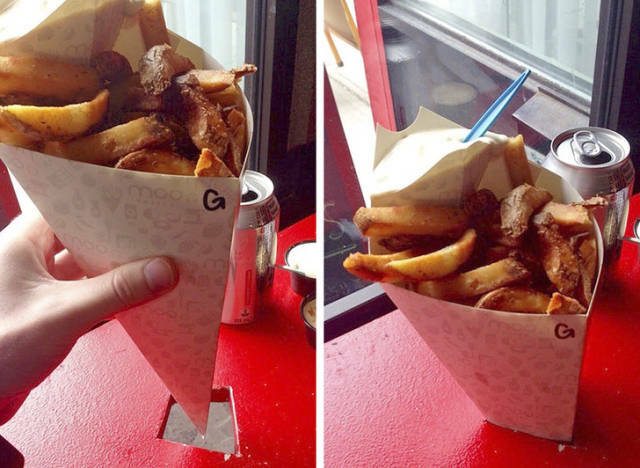 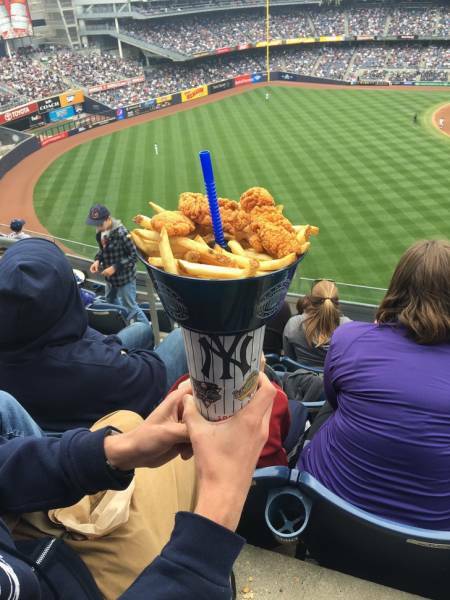 This restaurant sells fries in paper cones — and the tables have diamond-shaped holes that hold the cones. 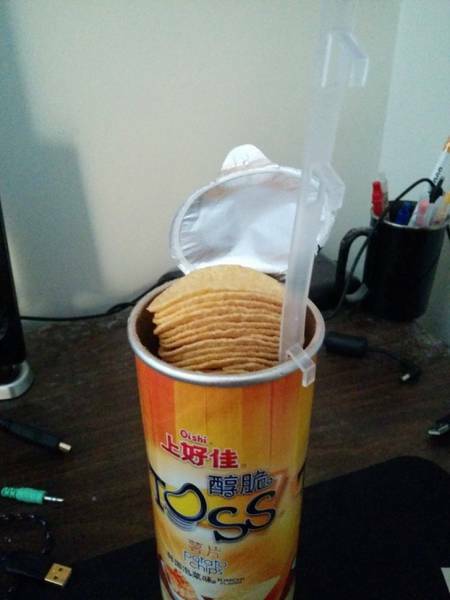 My Asian ’Pringles’ has a tab to lift the chips up so you don’t have to put your hand inside the tube. 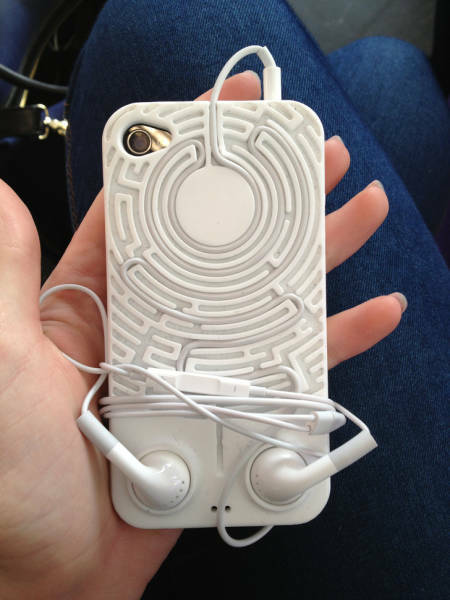 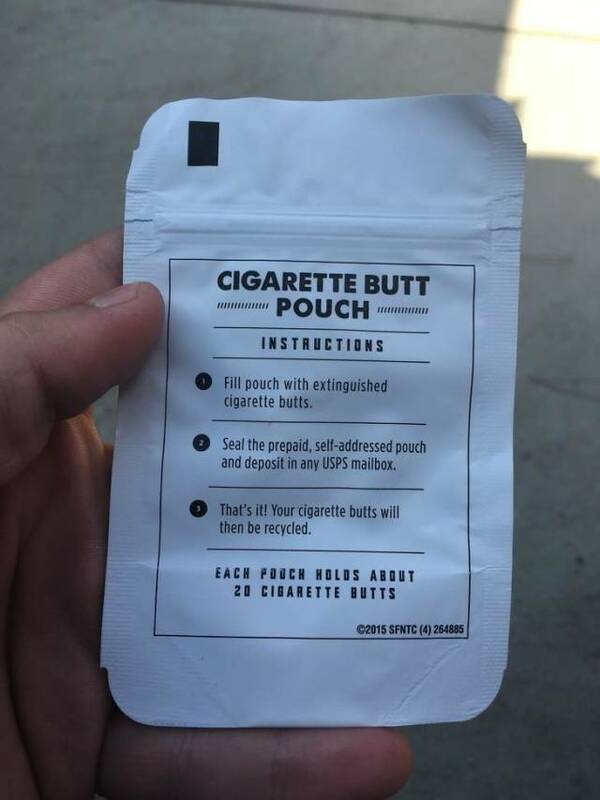 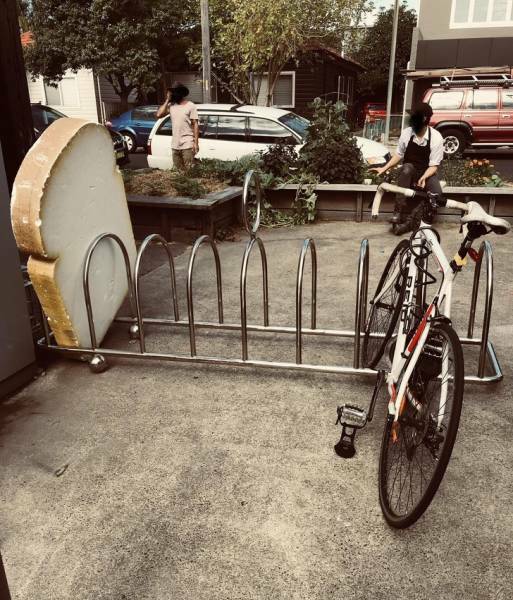 Coolest idea ever. 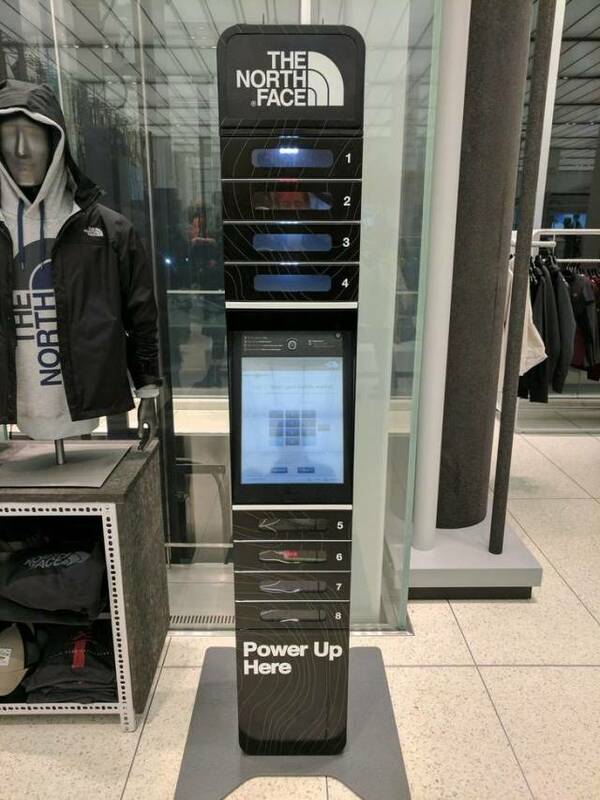 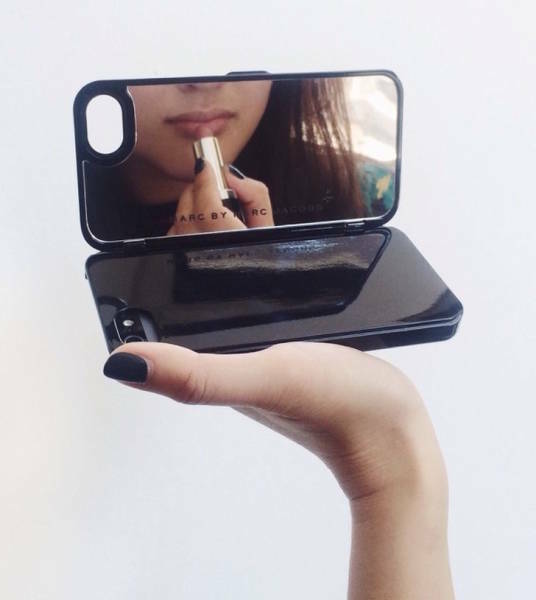 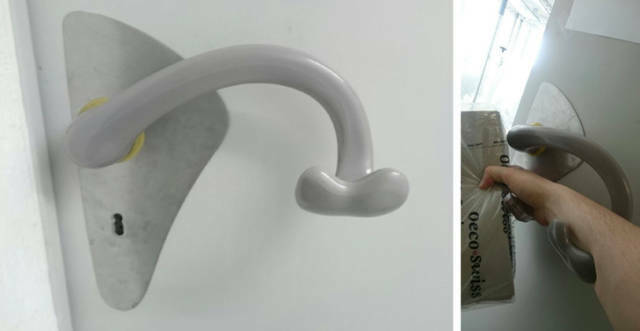 It locks your phone in a safe place to charge while you shop. 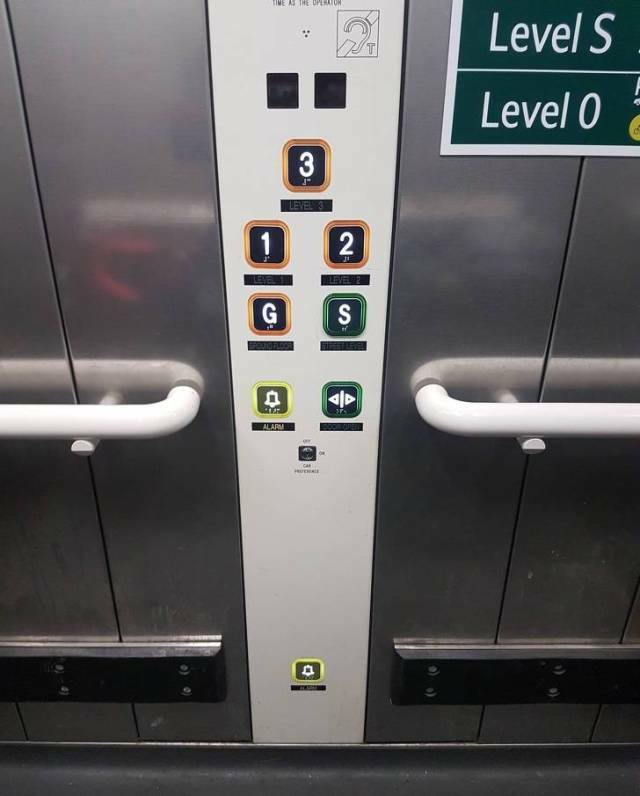 This elevator has an alarm button at floor level in case someone collapses. 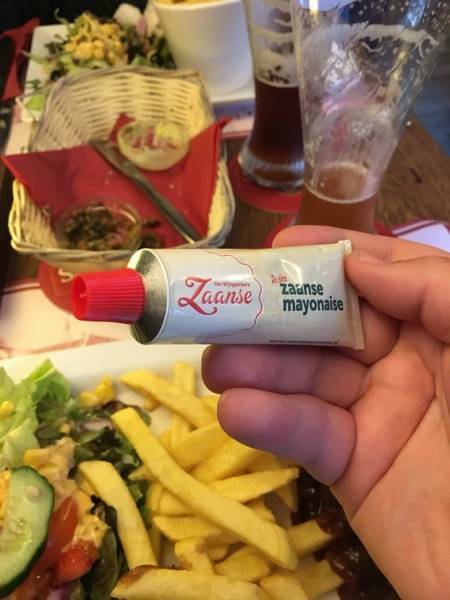 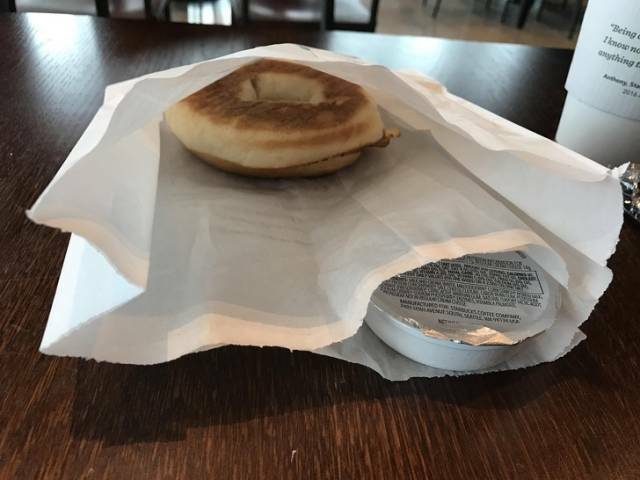 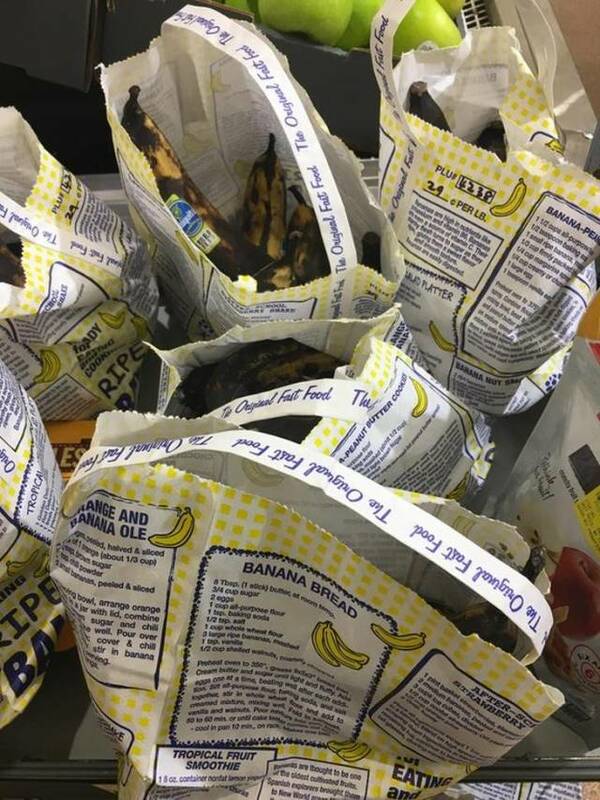 This pastry bag has a cutout for condiments so they don’t get greasy. 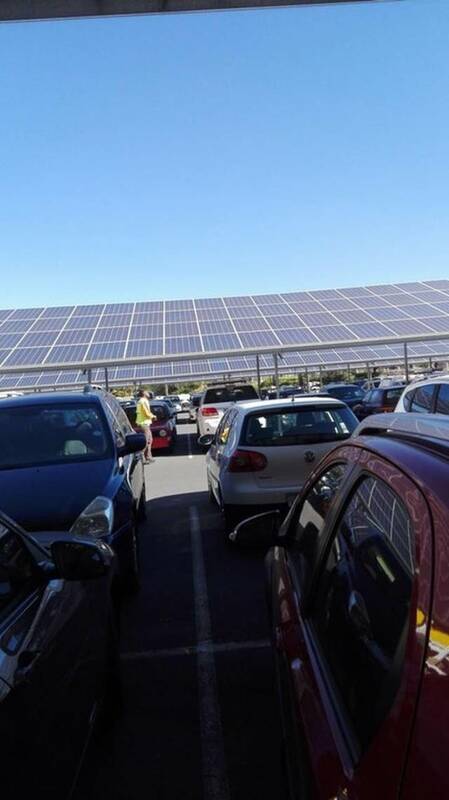 Solar panels provide shade in a parking lot. 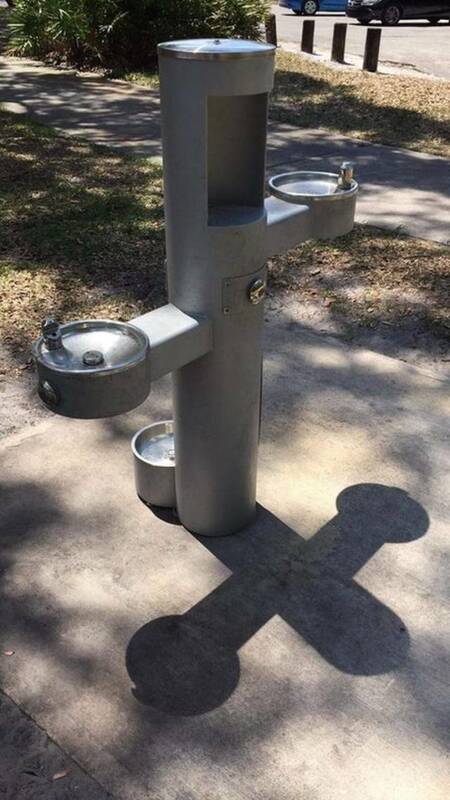 This single water fountain has a place for dogs, a short person, a tall person, and a place to fill your water bottle. 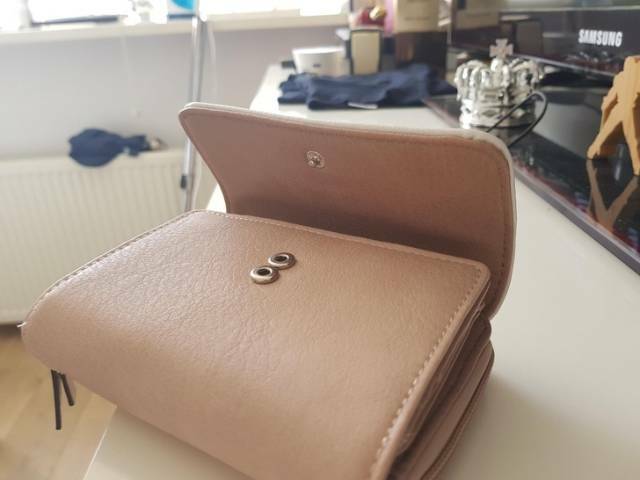 This wallet has 2 buttons for when the wallet gets filled up. 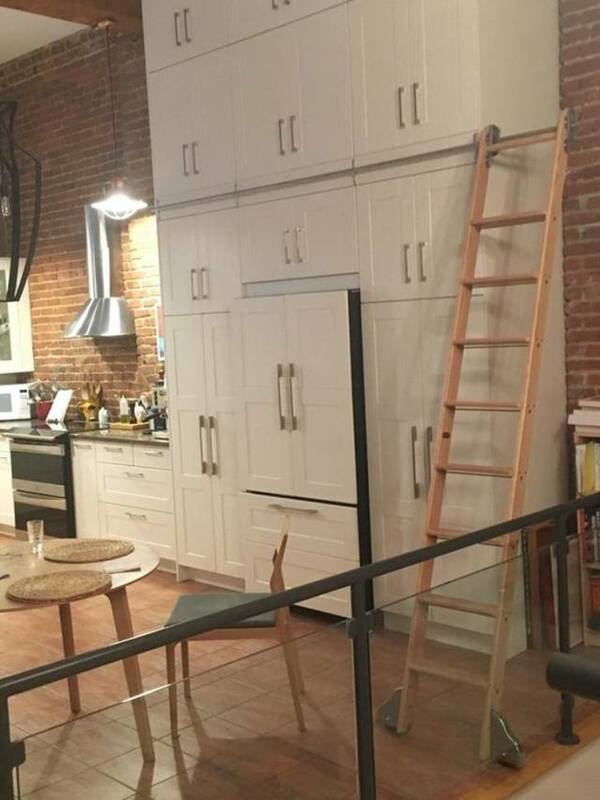 My parents’ new kitchen has a rolling ladder. 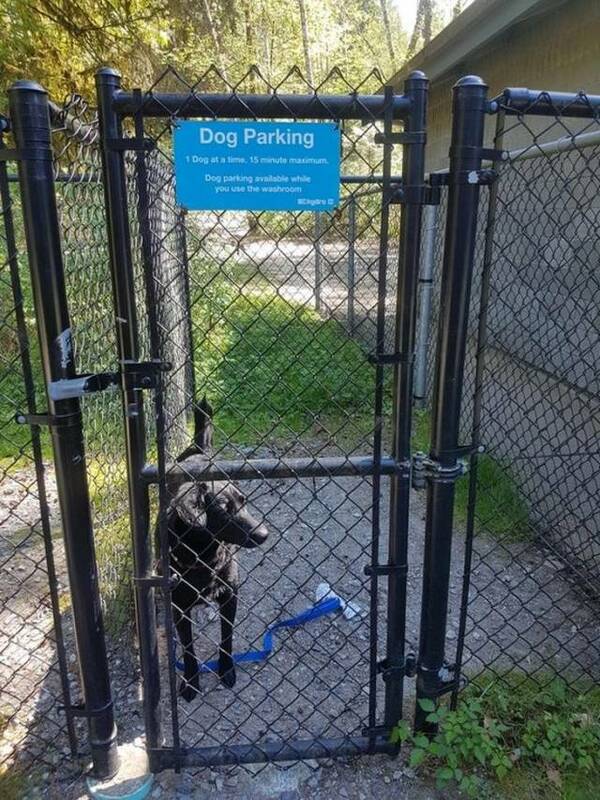 This beach has a waiting spot for your dog for when you need to use the restroom. 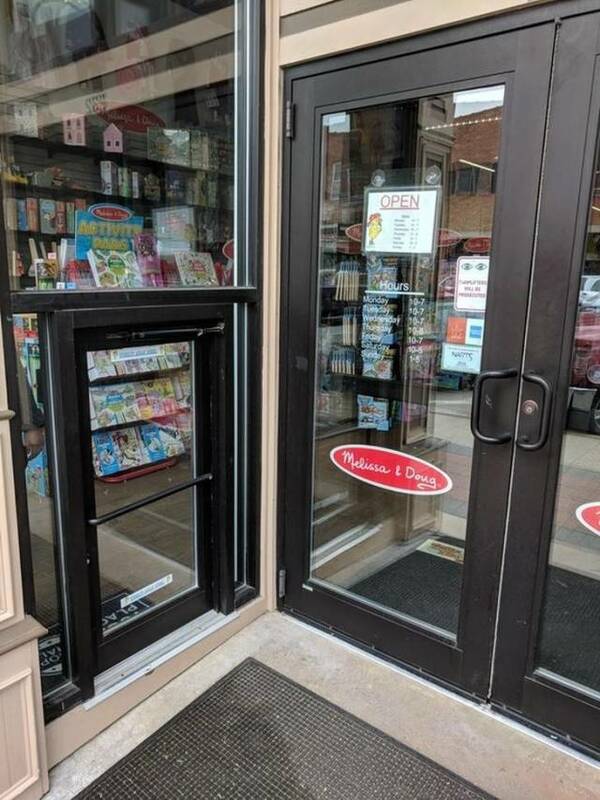 This store that sells children’s items has a tiny door for kids to walk through. 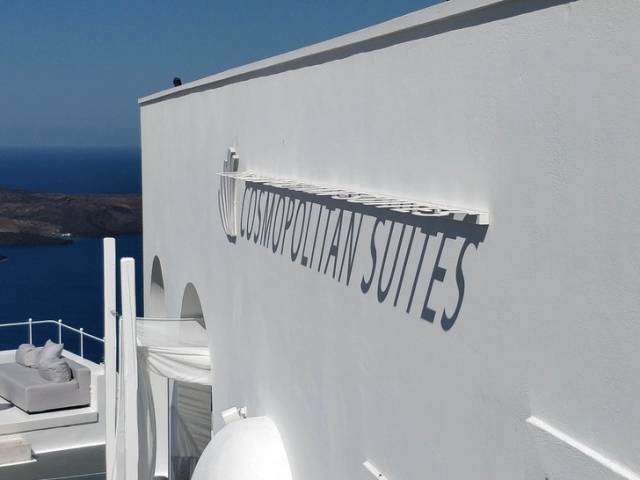 This hotel in Santorini has its name spelled out in shadows. 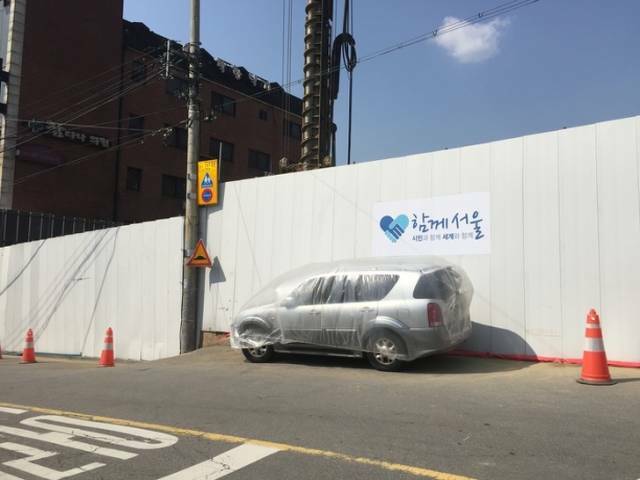 If you leave your car in Korea in a place where something is being painted or built, workers will put a special cover on your car so it doesn’t get messed up.